The Father of the Nation, Mahatma Gandhi always wanted India to be clean. 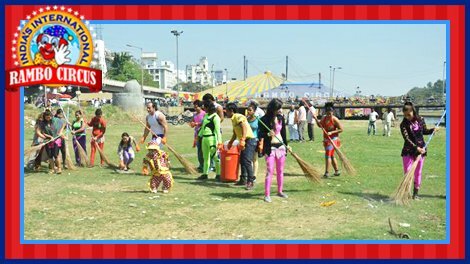 To complete his vision, the Prime Minister, Mr. Narendra Modi launched "Swachh Bharat Abhiyan" (Clean India Mission) on 145th Birth Anniversary of Mahatma Gandhi on 02nd October, 2014. 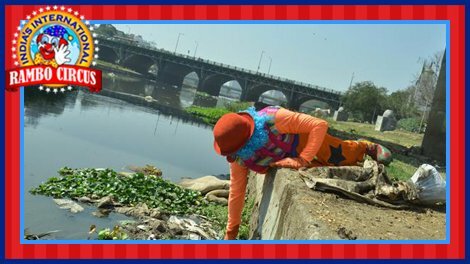 To become a part of this initiative, Rambo Circus Artists started their cleanliness mission at Deccan Gymkhana, Pune, Mahatashtra. 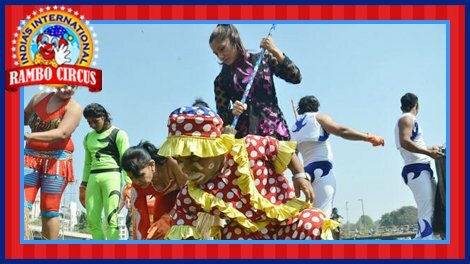 All the Indian and Foreign Artists participated in this event on 13th February, 2015, at the river front. 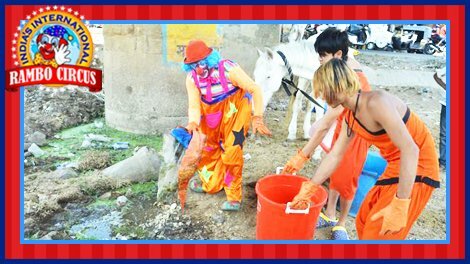 They collected paper & plastic waste, bottles, wrappers, etc. and disposed them off properly. 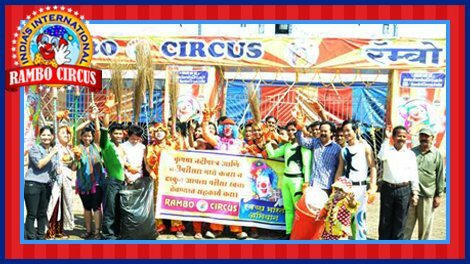 Rambo Circus has always become a part of such Humanitarian Missions.